Hey, I made some educational ceramics videos! Here’s a sneak peak. There are 7 more of them HERE on Bluprint! Sarah is a ceramic artist native to Oregon. She started Wolf Ceramics in 2015 and now produces work out of her studio in Northwest Portland. She enjoys the physicality of working with clay as well as the design process and the satisfaction of creating goods that will be used by her friends and community Though Sarah has always been an artist and maker, her love of mountains and earth science happily beckoned her to study geochemistry for her undergraduate degree. It was only after several years of work and travel that she chose to go back to school and earn a Post Baccalaureate Certificate in Ceramics at the Oregon College of Art and Craft. Wolf Ceramics is now growing steadily and Sarah is excited to build a foundation and culture within the business that values the hard work of its craftspeople, the quality of its products, and the ongoing relationships with its customers and community. Watch Sarah Wolf of Wolf Ceramics make a mug from start to finish. We've tried to capture all of the many streps that go into making each piece of work, and there are a lot of steps! 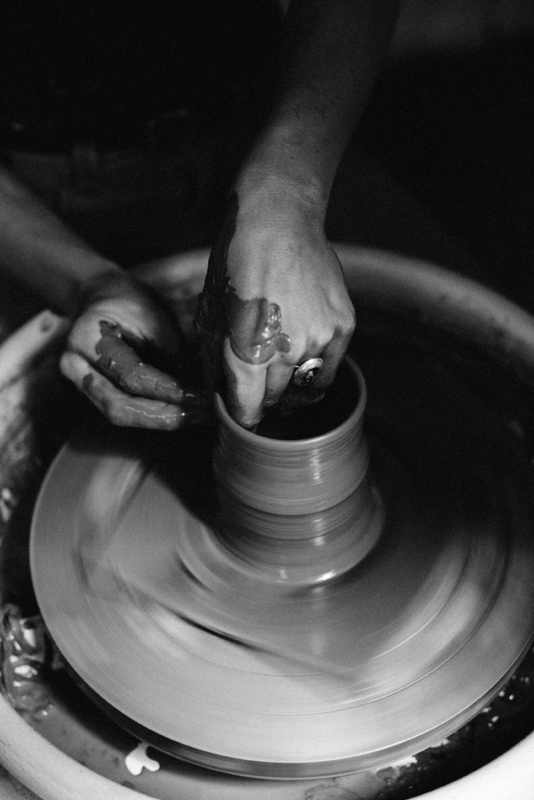 If you've ever wondered why handmade mugs are so expensive, this might be enlightening. In a production studio, the process of making one batch of mugs from start to finish generally takes at least two weeks. This is because of all of the different periods of drying that are needed, plus two separate kiln firings that can take 36hrs each! We've boiled the whole process down into just a minute and a half. Great thanks to Sara Quinn for creating this video and going through the tedious work of shooting, editing, and arranging so many parts of the process! And thank you to Ryan Windus for creating the sound that so nicely accompanies this video!